The Engineering and Physical Sciences Research Council (EPSRC) has awarded £578k funding to researchers at the University of Liverpool to develop liquid antennas which have the potential to transform modern radio communications and radar. Antennas convert radio waves into electrical signals and are an essential component in mobile and wireless products from smart phones to radars. Traditionally antenna are made out of materials such as copper have good conductive properties but are hard to reconfigure, have limited bandwidths, and are large, heavy and expensive. 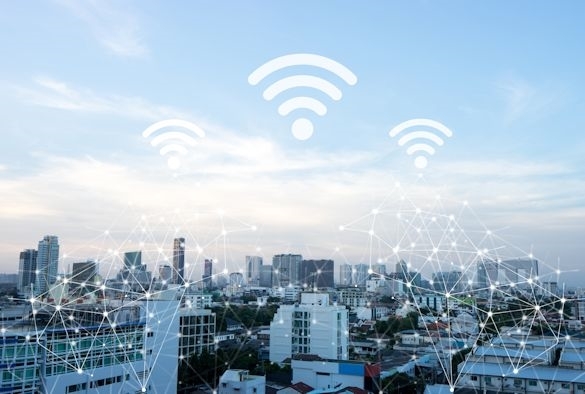 As the `Internet of Things’ and 5G become more of a reality, there is a need to develop a new type of antenna which is small, transparent and has better reconfigurability than conventional metal antennas. It is known that water can be used as an antenna and has potential to overcome many of the problems facing traditional metal antenna. However, water becomes ice once the temperature goes below 0 degree C.
This research project will bring together radio engineering experts from the Department of Electrical Engineering & Electronics (Professor Huang’s team) with Material Scientists in the Department of Chemistry (Professor Xiao’s team), to identify the most suitable liquid materials which can be used as antenna. The liquids will be tested for low loss, thermal and mechanical stability, whether they can work in temperatures ranging from -30 to +60 degree C, if they transmit the correct frequency range (from kHz to GHz) and have Radio Frequency and microwave power ranges up to 100 kW. This research project aims to go one step towards developing a novel type of antenna by bringing together new knowledge in material science with radio engineering expertise in order to provide an alternative compact reconfigurable and/or flexible device to the wireless world and meet the demands from the telecommunications industry. The research is funded by the EPSRC and also involves industrial partners BAE Systems and Huawei.